A strict selection of the flour used: the ingredients are carefully analyzed in our laboratory, a control analysis being performed for each delivery from our suppliers. 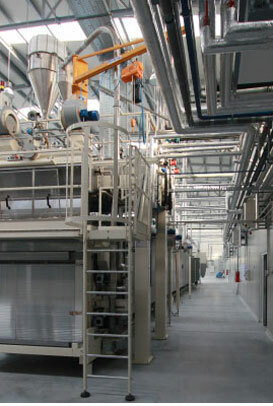 Providing products that combine classic traditional skills of the pasta producers with modern technology. In this respect, Hutton produces pasta that maintains its shape during cooking, doesn’t soften and has a good growth in volume, leaves little sediment, has a firm texture and does not stick. Ethical and moral attitude – a solution for everybody’s safety. The logistics and the supply policy are concerns that have guaranteed error-free service for 20 years. The quality inspections and the internal inspections are certificated. In 2007, the Hutton Company obtained the SRAC certifications under ISO 9001/2001 and ISO 22000/2005.